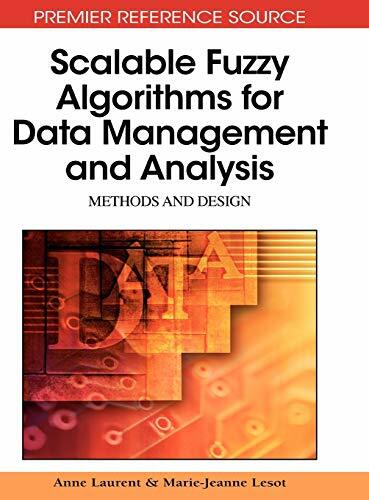 [PDF] Scalable Fuzzy Algorithms for Data Management and Analysis: Methods and Design (Premier Reference Source) | Free eBooks Download - EBOOKEE! Description: Today, fuzzy methods are of common use as they provide tools to handle data sets in a relevant, robust, and interpretable way, making it possible to cope with both imprecision and uncertainties. ""Scalable Fuzzy Algorithms for Data Management and Analysis: Methods and Design"" presents up-to-date techniques for addressing data management problems with logic and memory use. No comments for "[PDF] Scalable Fuzzy Algorithms for Data Management and Analysis: Methods and Design (Premier Reference Source)".